March 17th – I think I’ve had a countdown on my phone for this date for over two years; I know at one point the countdown was over 700 days, so yea – I’ve been waiting a bit. And no, I’m not a Saint Patrick’s Day fanatic. What I am is a die-hard Beauty and the Beast fan and today marks the day that Disney’s newest incarnation is being released on the world. Of course – this means that the entirety of today’s Five on Friday will be devoted to all things Beauty and the Beast! You read that right – I won’t even be devoting the fifth point to baseball today; it’s all Beauty and the Beast! Two. The Cast – I’ll admit, I was going to be on board for this movie regardless of who they cast (to a point…) but when I heard that Emma Watson would be playing Belle, I was thrilled. As a long time fan of Harry Potter (in all it’s forms), I had no trouble envisioning Emma Watson stepping into the yellow ballgown to play Belle – it seemed perfect! And then they went and announced that Matthew Crawley himself, Dan Stevens would be playing The Beast and that just made things better. Harry Potter + Downton Abbey = Disney magic, right? Luke Evans as Gaston (hello – he’s in The Hobbit, love it) and Josh Gad as LeFou (Olaf anyone? )…the voice actors are just as wonderful: Ewan McGregor as Lumiere, Ian McKellan as Cogsworth, Emma Thompson as Mrs. Potts? Did I mention I’d have been on board no matter who they cast? But yeah – they cast all these amazing people, so something tells me it will be phenomenal. Three. The Soundtrack – Which I have completely worn out…and I’ve only had it a week. All of the old favorites are there, including Belle performed wonderfully by Emma Watson, a rousing rendition of Gaston that Josh Gad and Luke Evans absolutely excel at and of course, Be Our Guest – done to perfection by Ewan McGregor and the rest of the “household staff”. There are also new songs and they fit in with the classics so well and add so much to the soundtrack (and something tells me they will add so much to the movie…). They include a lovely song called How Does A Moment Last Forever, Days in the Sun and Evermore – a song performed by the Beast! My personal favorite is Dan Steven’s performance of Evermore, it’s such a beautiful song! Four. 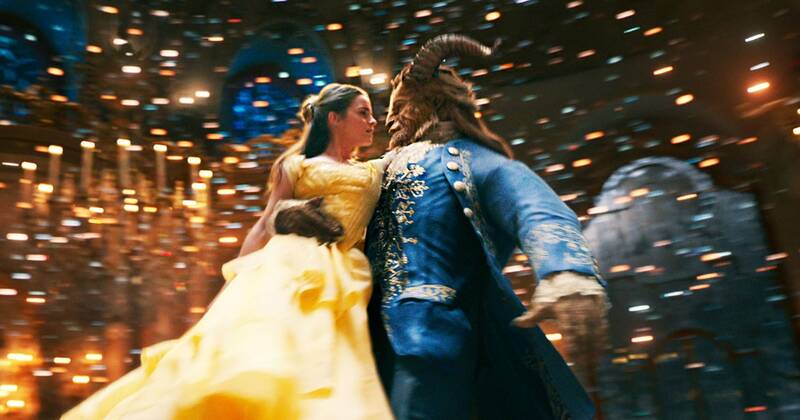 The Storyline – I think the story of Beauty and the Beast is so timeless! The original was written and “released” in 1740, but researchers believe it may have existed for over 4,000 years… and it still translates into a wonderful piece of story telling today! Not only does the story teach us that you should never judge a book by it’s cover – because true beauty is found within, it also teaches that being different isn’t dangerous or wrong. Have I mentioned how much I love Beauty and the Beast? I’m still counting down the hours – only less than five and a half to go until I’m basking in the wonder of Beauty and the Beast. I can’t think of a more magical way to start a weekend, can you?